Witness the majestic annual convocation of hundreds of bald eagles thriving in their habitat with the NaturesLens 7 night wildlife photography trip to Haines, Alaska. 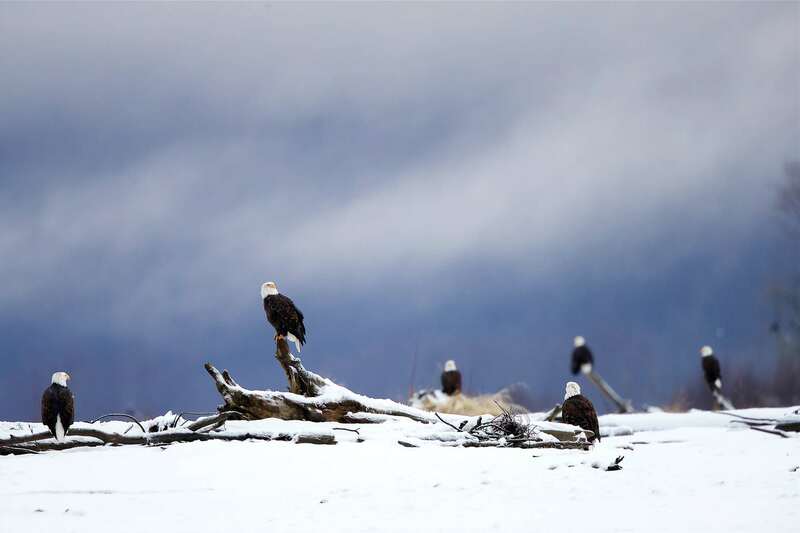 Capture stunning images of the phenomenal natural spectacle of eagles soaring, diving, fighting & competing for food on the banks of the Chilkat River. Group size: 3 - 6 participants - places available..
For this photography holiday, we recommend that you bring along an intermediate telephoto lens such as the 100-400mm, which is extremely versatile, & your longest lens, whether that is a 400mm, 500mm or 600mm. If the longest lens you own is a 300mm lens but you have a 1.4x or 2.0 extender this would also be suitable. In fact, you should pack your extenders as this will allow you to further vary your focal length. If you don't have a hood on your coat, you should pack a warm hat to protect your head & a balaclava or snood to protect your face from the wind. We also recommend that you bring a good pair of snow or thermal boots with a good sole for walking on snow & ice. & takes place in Haines in the United States, between the dates of 14th - 21st November 2020. 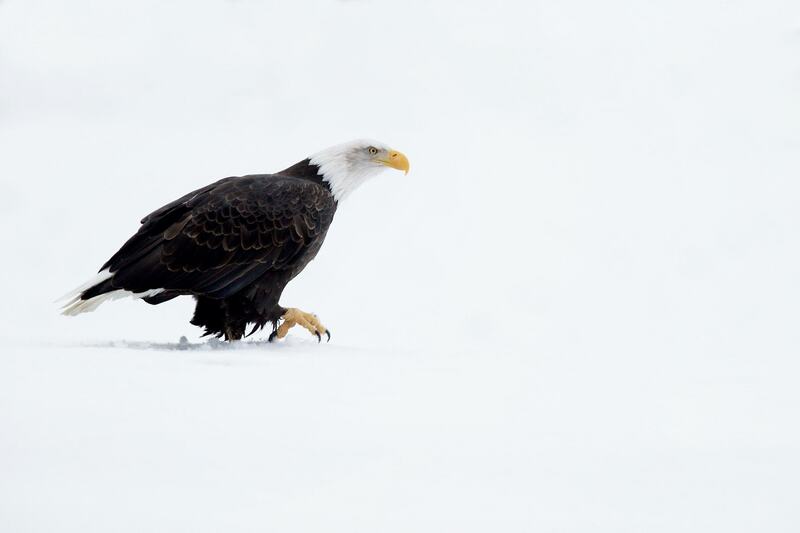 It is ideal for photographing bald eagle, elk, moose & more. This photography holiday is led by David Miles for NaturesLens. The photography holiday is offered on a Half Board, Non-Shared basis. Group size for this photography holiday is a minimum of 3 participants & a maximum of 6, plus David. We consider this to be an event of Easy level of exertion, if you have any questions about your suitability for this event, please contact us prior to making a booking enquiry. The photography holiday starts & ends at Juneau airport. , although you may be able to travel on the same flights as David, if you are travelling from London. Transfers between Juneau airport & Haines are included in the cost of this photography holiday, this photography holiday requires a deposit of £800 to secure a place. Final balance payment due: August 14th, 2020*. Bookings made after this date will require the full payment to secure a place. Bookings close: October 23rd, 2019.